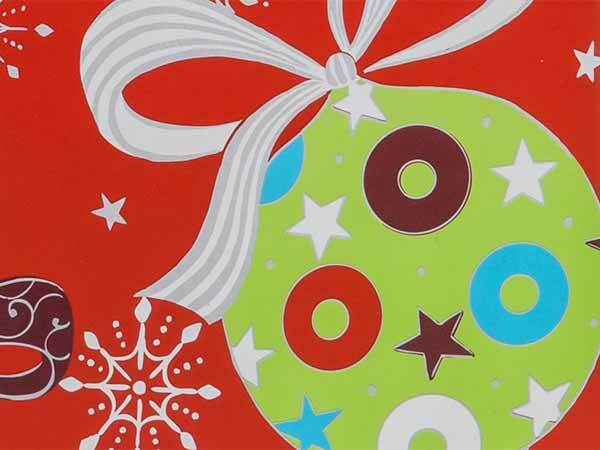 Christmas Ornaments Gift Wrap Convenience Roll is a gorgeous wrap with beautiful ornaments on a red background. Made in the USA. Discounted Gift Wrap Jumbo Rolls are high quality are available while supplies last. Rolls are shrink wrapped (not boxed). Each 85' roll of gift wrap will wrap up to 50 gifts.